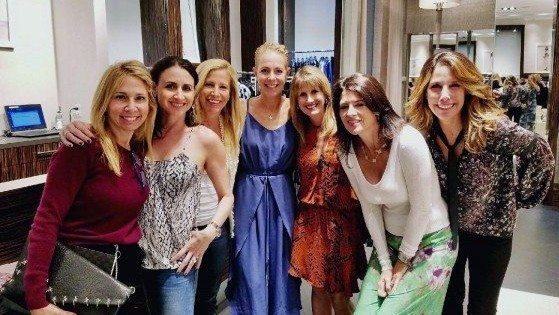 Women in the Workplace 2018 is the largest comprehensive study of the state of women in corporate America. 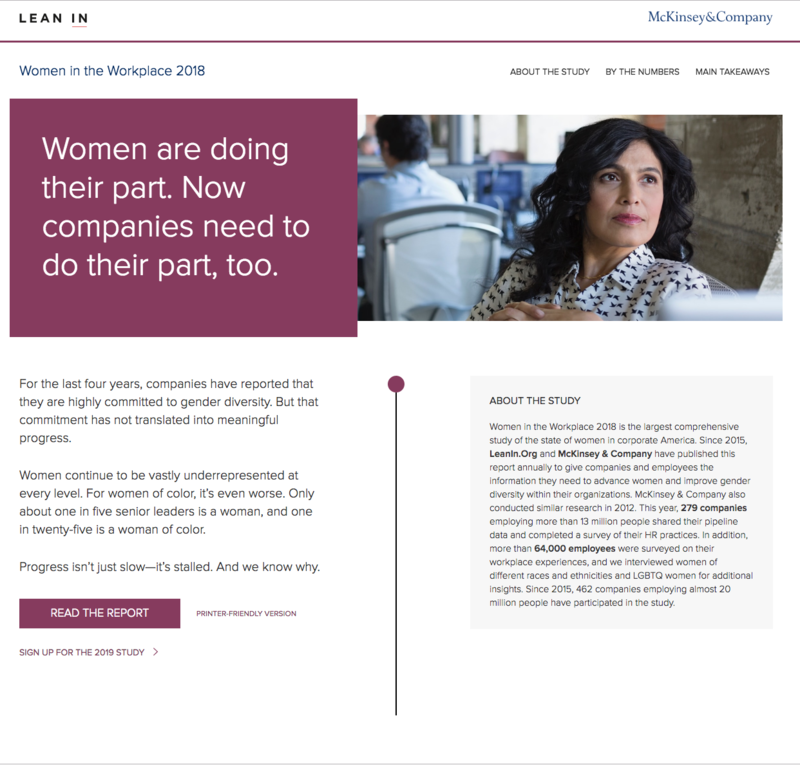 Since 2015, LeanIn.Org and McKinsey & Company have published this report annually to give companies and employees the information they need to advance women and improve gender diversity within their organizations. McKinsey & Company also conducted similar research in 2012. This year, 279 companiesemploying more than 13 million people shared their pipeline data and completed a survey of their HR practices. In addition, more than 64,000 employees were surveyed on their workplace experiences, and we interviewed women of different races and ethnicities and LGBTQ women for additional insights. 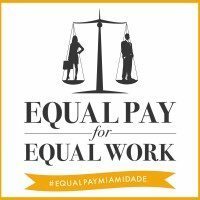 Since 2015, 462 companies employing almost 20 million people have participated in the study. Read the full report here.